Going to the dentist can either be a positive or daunting experience. While we hope that you never experience the latter, we can appreciate how stressful it can be to search for a new provider. We regularly receive inquiries on the best way to choose the right fit for you and your family. Santa Cruz, California boasts some great dentists in the area that will be able to provide all of your dental needs. Dentists are important to society because oral health can be a big determiner in our overall health. Without proper routine maintenance, a person’s dental health can quickly decline and be detrimental to their overall health. At Advanced Dentistry, we want the opportunity to serve you and all your dental health needs, but we also understand if you have a unique situation. You may want to choose a different dental office if you need one closer to home. We understand this preference, and we’ve compiled a list of some of the top dentists in Santa Cruz. Even if you don’t choose Advanced Dentistry as your primary Santa Cruz dental office, we want you to be taken care of by another reputable dentist in your area. These are some of the most common factors when it comes to finding a dentist that you can trust with your oral health. You may have more specific needs, and that’s why our list of the best-rated dentists in Santa Cruz can help you with finding the perfect one. Santa Cruz is a large area, and there are quite a few dental offices in the surrounding area. Take a look at our list of the top-rated dentists in Santa Cruz and surrounding areas and see which one best meets your dental needs. For your convenience, we’ve also included contact information for your convenience. Dr. Kevin Ippisch is a trusted dentist in Santa Cruz. He’s provided dental services in Santa Cruz for over 30 years. He’s a member of the American Dental Association, California Dental Association as well as the Monterey Bay Dental Society. Dr. Ippisch understands the importance of effective communication with his patients. In 2016, Advanced Dentistry was awarded America’s Best Dentist Award by the National Consumer Advisory Board. Advanced Dentistry provides complete exams and cleaning as well as other services. Advanced Dentistry guarantees its patients will receive exceptional care as well as all the best dental and health care. Advanced Dentistry also has comfortable massage chairs for you to enjoy while you are receiving treatment. Your smile and dental health are a priority, and we show this through our professional service. There is no condition or treatment that’s too big or too small. Advanced Dentistry accepts most insurance plans and will only make recommendations that you need for treatment. Our staff is friendly and knowledgeable. We have the experience to perform many other services that fit your dental health needs. Contact us today for an appointment so we can help you reveal that beautiful and natural smile. Dr. Scott Weston and Dr. Trang Tran pride themselves in providing high-quality oral care for families throughout the area of Santa Cruz. They offer a wide range of services for people of all ages. Some patients have been going to Landmark Dental Group from birth to adulthood. This shows how much patients trust these dentists. This long-term relationship also indicates the positive relationships they have built over time. The staff are professional, friendly and reliable. Both dentists love creating long-lasting relationships with their patients and providing them with the superior dental service that fits all age groups. The staff thoroughly explains each process to help patients feel comfortable from beginning to end. This helps the patients feel confident in the services provided at Landmark Dental Group. Dr. A. Gavin McClure and his team care about providing the most advanced and patient-friendly approaches to their services as possible. They personalize their services to meet the needs of every patient who walks through the door. 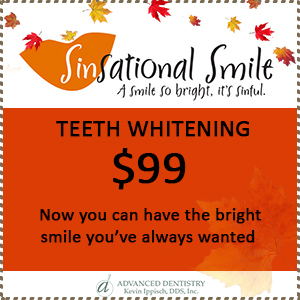 They provide services that range from teeth whitening to root canals. Dr. McClure takes the time to listen to your concerns and provides treatment based on his professional experience and dedication to helping you achieve optimal oral health. Located in Santa Cruz, New Street Dental provides families and in individuals with experienced service and clean facilities. They take walk-ins as well as scheduled appointments. The flexibility of scheduling allows patients to get good treatment that fits their own personal preferred time frames. Dr. Marylinn Reinhardt and Dr. Steve Kerba aim to improve and maintain your oral and dental health. They offer a wide range of services that are affordable and help you feel comfortable at all times. They serve patients in the Santa Cruz County area, which include Capitola, Scotts Valley, Watsonville, Aptos, and Soquel. The office staff is very helpful in explaining procedures and answer any billing related questions with the patients. They have years of experience and offer patients the convenience of registering online on their website. Their goal is to bring out the shine in your smile and keep your mouth happy and healthy. Overall, the entire team at Santa Cruz Pacific Dental work hard to keep patients confident in their choice of dental services. A reliable cosmetic dentist in Santa Cruz can be difficult to find. However, Dr. Calcagno is a great choice. He provides patients with teeth whitening services as well as aesthetic dentistry. He has been serving families in the Santa Cruz area since 1987 so his years of experience is quite impressive. Dr. Calcagno has a background in biological, physical, and chemical sciences. This experience gives him extensive knowledge in practicing dental health care. He remains a current member of many national and local dental associations to keep his practices up-to-date. He’s also prominent in community partnerships. Patients have noted feeling very comfortable and confident in Dr. Calgano’s team and their services for dental care. Dr. William Christie and Dr. Mark Christie both practice general and cosmetic dental health care. They can both correct what’s considered “permanently damaged” dental procedures. Finding reliable dental care in Santa Cruz can be easily accomplished with Christie Family Dentistry. Their skilled team of dental hygienists and office staff are also very friendly and professional. Dr. Christie is passionate about providing patients with great dental care and personalized treatment. Dr. Rick Smith provides patients with personalized care and wants to help patients reach their highest level of oral health. He’ll create and implement a treatment plan that best fits your needs as a dental patient. Dr. Smith also has extensive training in Invisalign, Lumineers, and dental implants. His office takes several types of insurance, but also offers payment options for patients without coverage. They offer many full-dental services for anyone of any age. Many families have been going to see Dr. Smith for over 20 years. He’s been treating all members of the family and many patients still visit Dr. Smith even if they live several hours away. With modern advancements in technology, Dr. Smith and his team are equipped with the best resources to provide effective dental care and treatment. They’re all very skilled and caring when it comes to working with their patients every day. Dr. Lynda Tran and her team serve the areas of Santa Cruz, Los Gatos and Watsonville, California. They have a conservative and comprehensive approach to dentistry and health care. Dr. Lynda Tran is very competent and well educated in the world of dentistry. She is gentle with her care for patients but remains effective throughout all the treatments that she provides. In 2015, Kai Family Dentistry received their Green Business Certification from the Monterey Bay Green Business Program for their consistent business practices and consideration of the environment. They offer full-service dental, and you can conveniently make appointments online. The staff is friendly, and the space is comfortable for patients. Dr. Wandy Tsai became a dentist because of her own personal struggles with dental care growing up. Dr. Jennifer Luu has always believed in the necessity of dental hygiene and made it her passion to help others. Now, both doctors continuously provide high-quality dental care and personalized treatment for patients since opening in 2003. At Scotts Valley Dental Care, Dr. Tsai and Dr. Luu’s team offer full-service dental needs and everything in between. They pride themselves on being gentle, yet effective. They do thorough jobs while maintaining a clean facility and professional staff. They also take many forms of insurance payments and offer flexible payment options for patients without coverage. The team at Dientes Community Dental pride themselves on preventative care being more common than treatment. They provide dental services for patients in Santa Cruz county and surrounding areas. They have two clinics to serve patients: Santa Cruz and Watsonville. Dientes Community Dental scales down dental service prices for low-income patients and has flexible scheduling options to meet family needs. Established in 1992, they also provide outreach programs that bring accessibility to those who don’t have the means to obtain dental treatment. Dientes is a non-profit organization and has developed many positive relationships within their community. Dientes Community Dental really cares about the oral health of all people, especially those who can’t afford to maintain proper dental health coverage. They accept Medicaid, a plus for lower socioeconomic status patients and their families. Finding good, quality dental services in Santa Cruz doesn’t have to be a difficult task. You can be certain that our list that we have provided you with contains a great dentist in Santa Cruz that you are looking for. Picking one from this list will guarantee that you are receiving the best quality service and care from any of the listed dentists in the Santa Cruz area. Each dental patient has a unique need for treatment and care. If you’re in need of annual check-ups, whitening, root canals, or dental implants, any of these choices would fit your dental health needs. Find a dentist today and start flashing that beautiful smile you have always had. Great post this post is very helpful. Nice post, very informative ..Thanks for sharing these blogs with us! This blog is really great.You have mentioned best tips for dental implants.